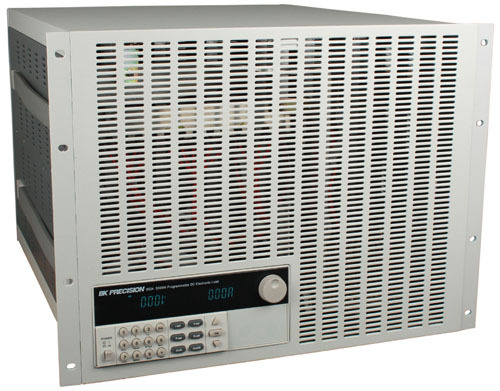 The 8500 series Programmable DC Electronic Loads can be used for testing and evaluating a variety of DC power sources. Their wide operating ranges of up to 500 V and 240 A, flexible operating modes and excellent measurement accuracy make the 8500 series well suited for characterizing DC Power supplies, DC-DC Converters, batteries, fuel cells and solar cells. The loads can operate in CC, CV, CR or CP mode while voltage/current or resistance/power values are measured and displayed in real time. Load terminals are isolated and floating. Over temperature, over power, over voltage, over current and reverse polarity protection will help protect your valuable prototype and circuits. Flexible triggering: Create trigger events by front panel keystroke, back panel TTL signal, or software. Get improved accuracy, input protection, faster operating speed and more with B&K Precision’s new 8600 Series DC electronic loads. For more information click here. 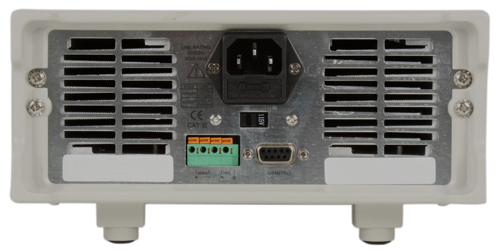 This is the RS232 to TTL interface kit includes both the RS232 to TTL adapter and a RS232 DB9 to DB9 cable. This is the USB to TTL interface replacement part that was originally included with its paired product. A standard USB cable is included. The IT-E151 is for rack mounting of compatible products in either a side-by-side configuration or single unit configuration where a provided blank is used to fill the empty space. The dimensions for the kit are 5.24" (133mm) by 19" (482.6mm). High quality red and black cable with externally braided wrap with large fork-type spade connectors for connecting to high current power supplies or DC loads. High quality red and black cable dual diameter spade connectors for connecting to power supplies or DC loads.